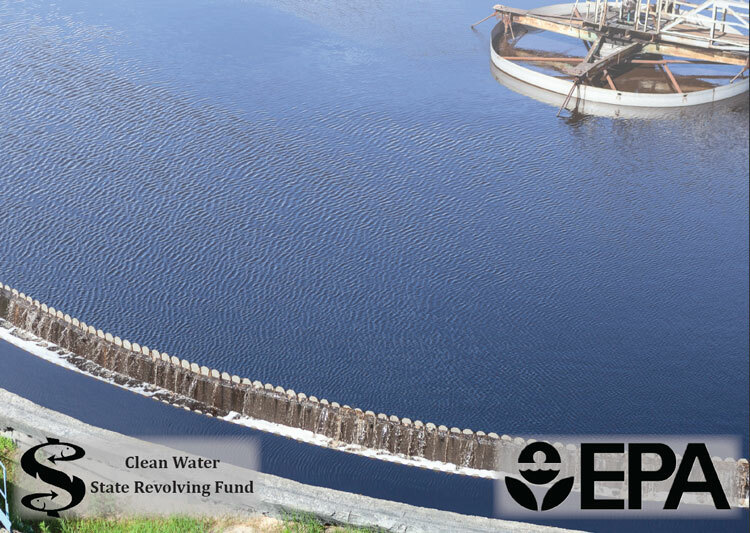 The U.S. Environmental Protection Agency (EPA) recognized 30 clean water infrastructure projects for excellence and innovation within the Clean Water State Revolving Fund (CWSRF) program. Honored projects include large wastewater infrastructure projects to small decentralized and agriculture projects. Wilmington Renewable Energy and Biosolids Facility (Delaware) — The City of Wilmington’s wastewater treatment facility received a $36 million CWSRF loan to construct a renewable energy and biosolids facility for its treatment plant. This new facility captures previously flared methane gas from the plant’s anaerobic digester and gas from a nearby landfill and uses it to to power two reciprocating internal combustion engines that generate 4 megawatts of electricity. This offsets the treatment facility’s electricity needs by 90 percent. The thermal energy from the engines is used to heat a sludge thermal dryer, which reduces 140 wet tons of daily biosolids by nearly 80 percent to reach about 30 dry tons of biosolids. These reductions in electricity and solid waste disposal costs are estimated to save the city $16.7 million over 20 years. This project also sponsored a $3.4 million CWSRF loan for the permanent conservation of 22 acres of wetlands in the historic Southbridge region. This sponsored project was funded with the savings made from having the total loan interest rate reduced from three percent to two percent. The two loans have the same annual debt service of the original loan which means conserving the wetlands required no extra funds. This has led to an application from the City for an additional $15.2 million CWSRF loan to remediate the wetlands for flood control and stormwater management for the nearby Southbridge community. Dodge City Biogas Reuse to Motor Fuel Project (Kansas) — Dodge City adopted an innovative approach to processing their wastewater byproducts. In recent years, the Dodge City South Wastewater Treatment Plant received an EPA grant towards a project to reuse 100 percent of its 1.7 billion gallons a year of treated effluent as irrigation for over 3,000 acres of agricultural fields, conserving groundwater for the public water supply. This treatment process produced a significant amount of carbon dioxide and methane gas, which were then burned off in a flare. This new project plans to clean and pressurize the biogas to high quality natural gas that can be used as fuel. This process will occur by removing water from the gas and using pressure swing adsorption molecular sieves to separate the gasses. A more purified methane biogas will then be pumped to a nearby gas line and entered into the commercial market as a renewal resource. The methane will be sold by the city as motor vehicle fuel across the Midwest. The project costs are expected to be less than $10 million and the city expects to receive about $2.5 million a year in revenue from methane sales. The annual amount of methane fuel produced is estimated to be the equivalent of 3.5 million gallons of gasoline per year. South Monmouth Regional Sewerage Authority Pump Station Resiliency Initiative (New Jersey) — The South Monmouth Regional Sewerage Authority (SMRSA) operates a sewage treatment plant and a conveyance system servicing several coastal communities that have recently experienced extreme weather events. Using the NJ Water Bank’s Statewide Assistance Infrastructure Loan (SAIL) Program, SRF funds were used to provide short-term financing to SMRSA as an advance for Federal Emergency Management Agency (FEMA) assistance to build three resilient pump stations. Two of these pump stations are fully operational mobile units that can be disconnected during a severe storm and hauled to a safe location. Once the storm subsides, the mobile stations are returned and reconnected. These mobile resilient pump stations (MRPS) contain main electrical components, computer equipment, and an emergency generator all located on a mobile trailer at the original pump station site. Older pump stations in coastal areas have received serious damage in recent years, costing millions of dollars to repair and left the community without sewer services. The MRPS limits the disruption in conveyance, minimizes sewer overflows, and saved SMRSA millions of dollars by preventing damage from future storms. The third pump station replaced an older station that was in a 100-year flood zone. This new pump station is a permanent fixture designed to look like the neighboring residential housing and was placed outside the floodplain. All three of these pump stations were made possible through the NJ Water Bank’s SAIL Program which helped SMRSA save an estimated $1.9 million in short and long-term interest costs. Prineville Crooked River Wetlands Complex (Oregon) — Several years ago, the City of Prineville needed to increase their wastewater treatment capacity to keep up with the city’s growth. A new treatment plant was estimated to cost $62 million, so the city opted to look for a more cost-effective option. The city received a grant to fund a groundwater study and conduct a pilot using a constructed wetland for wastewater treatment. The results of the pilot were promising, so the 120-acre Crooked River Wetlands Complex was designed and constructed to reduce in-stream water temperature and augment stream flow to meet the effluent limits in the city’s National Pollutant Discharge Elimination System (NPDES) wastewater permit. The project has over 2 miles of riparian improvements and over 5.4 miles of new trails for recreational use — of which 3.25 miles are paved for use year-round. The complex also serves as an outdoor classroom, and to date approximately 500 school children have visited the complex for educational opportunities. The wetland wastewater treatment system cost $7.7 million to construct, saving the city $54 million by eliminating the need to build a traditional treatment plant. Overall, this innovative project expanded the city’s wastewater capacity, lowered residential and business system development charges, stabilized monthly wastewater rates, created a new public hiking trail system with numerous educational opportunities, and improved riparian and in-stream conditions in the Crooked River. Wichita Falls Permanent Reuse Project (Texas) — The increasingly drought-prone City of Wichita Falls has proposed a permanent reuse project that will deliver indirect potable reuse water from the River Road Wastewater Treatment Plant to the city’s raw water source, the Arrowhead Lake. This $33.5 million CWSRF loan is a green project reserve loan with over $252,000 of principal forgiveness. When complete, this project will allow the plant to meet stringent effluent limits that will allow up to 16 million gallons per day (mgd) of processed wastewater to be added to the lake. Improvements will consist of a chemical coagulation, filtration, and re-aeration system along with a new pump station and a 15-mile outfall pipeline that will run to the lake to make the city compliant with the newly established Texas Pollutant Discharge Elimination System (TPDES) discharge requirements. In recent years, Wichita Falls imposed strict water restrictions on the community, which have reduced the average use by approximately 72 percent during the summer season. This reuse system will provide a long-term solution that will assist the city in meeting source water needs. Learn more about all the 2018 PISCES recognized projects at www.epa.gov/cwsrf/pisces. Information provided by the U.S. Environmental Protection Agency (www.epa.gov).